Jill is responsible for the Pad Thai you may notice popping up a lot on my blog, she also introduced me to chicken Jambalaya and I can't wait to go back to Belfast in November so she can make me some more yummy meals we can have a magical wonderful time together. 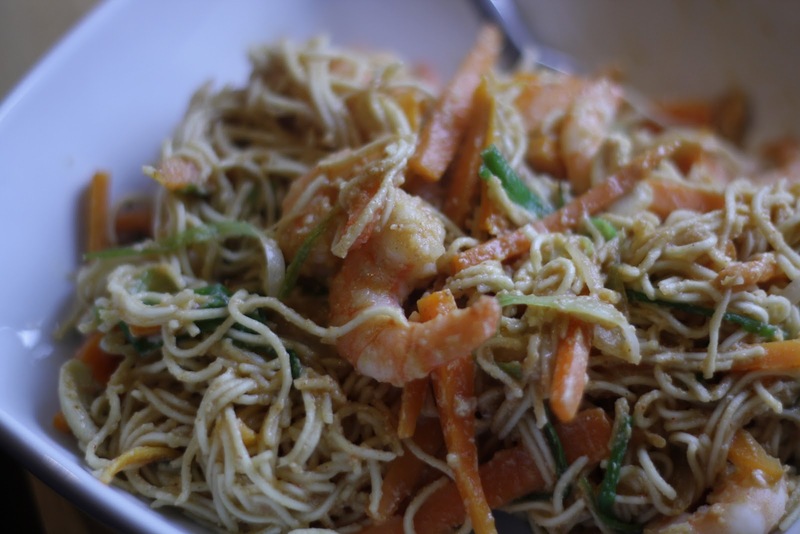 Pad Thai is really easy to make, very filling, low calories and full of goodness! It's so good I didn't want to hang around to adjust the white balance on my camera so please excuse the pale photo! Make sauce from lime juice, sugar, cayenne and fish sauce. Mix well and set aside. Add in noodles and stirfry until heated through. Add the egg and scramble it in.